In a world where ecommerce is growing faster than the human population (perhaps slightly exaggerated)! it’s essential for businesses to have a no-nonsense online ordering process that keeps customers coming back and diverts them away from needing to contact you by telephone. This saves time and effort on your part, as your website can act as a stand-in for you. So how exactly do you achieve this? The design and functionality of a website is essential to encouraging customers to purchase online. Did you know that a user’s purchasing decision is made after a mere 3 seconds on your website? With this in mind, everything must be appropriate and make sense with the product you are selling. When creating our website, here at Forms Plus we aimed to create a user-friendly website with an uncomplicated design and colour scheme. We have found that this has been agreeable to customers, who have continued to order online as opposed to by telephone. You can read our blog on brand essence here. Social media allows you to carry out promotion – for free! Seek out new followers and establish links with other like-minded businesses who can help share your posts to boost your following. This will show prospective customers that you have a good grasp on your online presence, even if the product or service you offer isn’t generally associated with the realms of social media. You can follow Forms Plus on Twitter here. Keep on top of your online customer queries and messages via social media. 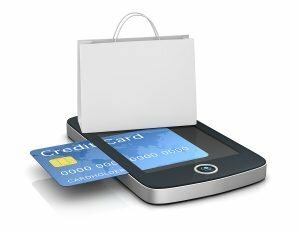 A survey concluded that 45% of customers will leave an online transaction if their concerns or questions are not addressed promptly. Create alerts and a plan to monitor such queries to maximise the success of your ecommerce. As of 2015, more people purchase products and services on their phones than on other devices. Our website is fully optimised for mobile, making it very simple to purchase products without the need to contact us by phone. If you would like more information about our print managements service or products, please do not hesitate to get in touch – we look forward to hearing from you.